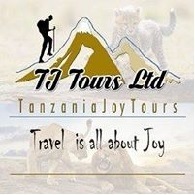 Average rating of 0.0 for all Tanzania Joy Tours trips. The Kilimanjaro climb 8 days lemosho is the best for acclimatization. The remote is less used and beautiful way up to the Shira Plateau. The Kilimanjaro climb 7 days lemosho is the best for acclimatization.The remote is less used and beautiful way up to the Shira Plateau. The descent is down the Marangu Route on the south side of the mountain, so climbers see the mountain from many view points. Also known as the “Whiskey” route, the Machame route is now the most popular ascent route on Mt Kilimanjaro.